There’s no way around it – shipping during the holiday season can get hectic. 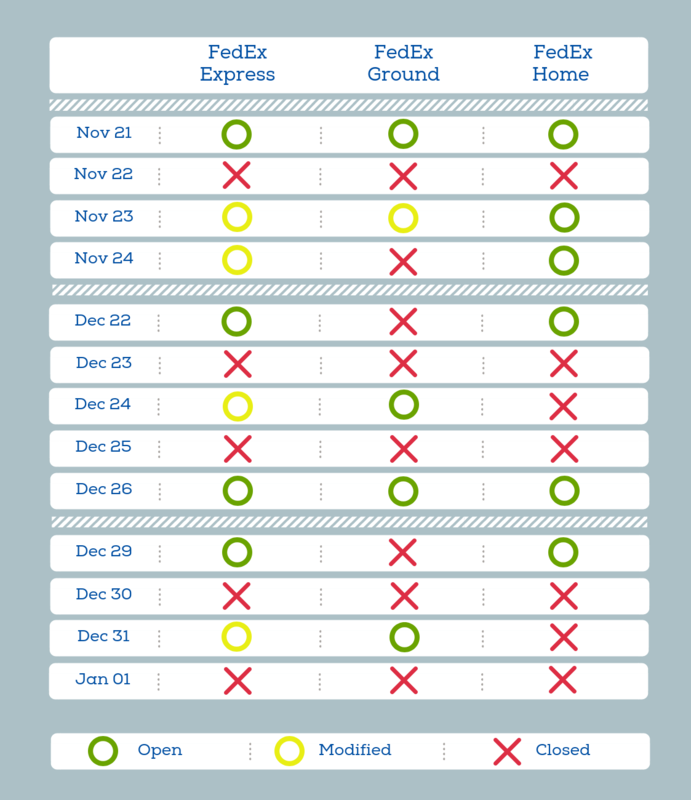 Whether you’re sending packages to customers or shipping out several pallets, the holidays can affect your transit times. 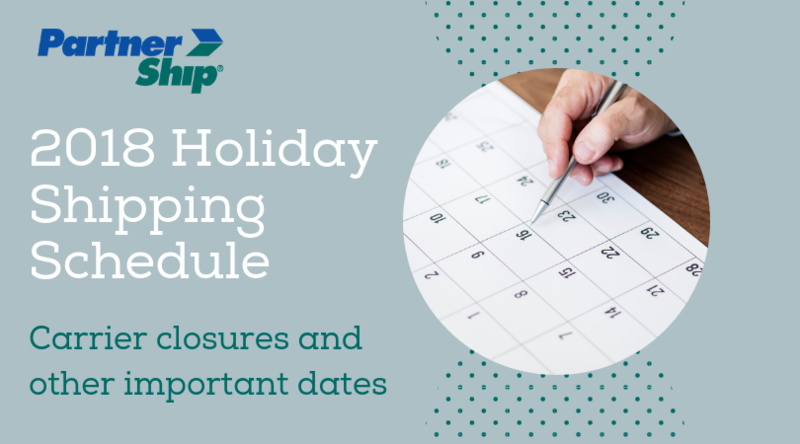 To help you prepare for this busy time of year we’ve compiled your important need-to-know dates for some common carriers. As for your small package shipments, make sure you’re aware of the peak surcharges that UPS and FedEx will be applying. UPS will be instituting an additional surcharge on residential ground shipments from November 18 through December 1 and then again December 16-22. Unlike its competitor, FedEx won’t be applying a similar peak surcharge. Both carriers, however, are charging more for larger packages or packages that necessitate additional handling. FedEx will apply these surcharges November 19-December 24, while UPS will be applying these charges November 18-December 22. For your FedEx small package shipments, check out the last days to ship, review important information on the money-back guarantee, and refer to the 2018 holiday schedule below. If you need help with a last minute shipment during this busy time of year or have any questions, we're here to help. Keep in mind, PartnerShip will be closed so we can enjoy time with our families November 22-23, December 24-25, and January 1. From our families to yours – happy holidays!